The United States Women’s National Team will return to the region on Jun. 19 when they face France in an international friendly at Rentschler Field in East Hartford, Conn. Kickoff is set for 7:30pm. The Jun. 19 match is the second of two matches the U.S. will play France in June. On Jun. 14, the two sides will meet for the first time at Raymond James Stadium in Tampa, Fla. Kickoff for that contest is also set for 7:30pm. The U.S. has played eight previous matches in Connecticut and hold a 5-2-1 overall record in the Nutmeg state. Four of those matches have come at Rentschler Field, where the team is undefeated in four contests (3-0-1). 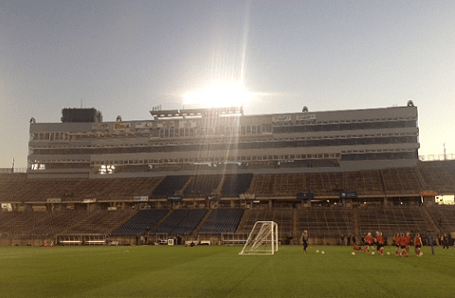 The largest crowd to attend a Women’s National Team game in Connecticut turned up at Rentschler Field in Oct. 2012, as 18,870 saw the U.S. tie Germany 2-2. Boston Breakers midfielder Lianne Sanderson was called up by the England National Team on Monday, a week after she earned NWSL Player of the Week honors. Sanderson will join the squad prior to Thursday’s World Cup Qualifier against Ukraine at Shrewsbury Town’s Greenhous Meadow. In England’s previous qualifier – back on Apr. 5 – she grabbed a goal in a 9-0 onslaught against Montenegro, a win that put Mark Sampson’s squad atop the Group 6 standings. Former Breakers Kelly Smith and Alex Scott were also called up by Sampson on Monday. It took overtime and penalties to do it, but Mass Premier Soccer emerged with a win against Lansdowne Bhoys (East New York) in Sunday’s Region 1 USASA Semifinal match of the 2015 U.S. Open Cup tournament at Randall’s Island. The match remained knotted at 1-1 through 120 minutes before penalties were employed. MPS grabbed a 4-3 advantage on shots from the spot to advance to the Region 1 Open Cup final on Jun. 15 against the Maryland Bays. The final will be played at the Ukrainian American Sports Center in Horsham, PA.